Compare conveyancing quotes from the cheapest, nearest and best rated conveyancers from our panel of 150 quality assured firms to find the best deal. 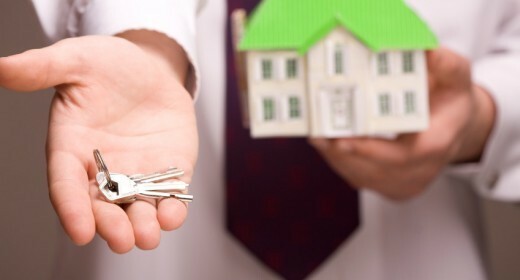 Why compare conveyancing quotes with HomeOwners Alliance? Are you a member of the Home Owners Alliance? Then you’ll receive a 10% discount off your legal fees (excluding supplements*). Find out more about joining here and start saving today. * Supplements are additional charges which may apply where transactions are not standard, e.g. because a property is leasehold, or there is a shared equity scheme etc. All costs are set out clearly in your quote. It’s easy to get an accurate conveyancing quote with this simple comparison tool. You simply choose the type of conveyancing you need (sale and purchase, purchase only, sale only or remortgage only), then fill in some details about your property. The kind of information you need to give to get the best conveyancing quote includes obvious things like the address, property value and your personal details. If you’re buying, you need to state whether any schemes like help to buy apply to your purchase, and give some information about your mortgage. If you’re selling, you’ll need to share details about how many people own the property, whether it’s freehold or leasehold and how many mortgages you’ll be redeeming to get the best conveyancing quote for your sale. The same information is required if you’re looking to remortgage, as well as information on whether equity will be transferred from or to another party. When it comes to comparing conveyancing quotes, you can sort the results to show the cheapest, nearest or best rated at the top. Each quote shows the the cost of legal fees, the amount of VAT charged and the cost of disbursements. The total amount shows the conveyancing quote in full, with Stamp Duty listed as an extra expense. If you need help narrowing down the results, you can click on the cheapest, nearest and best rated tab to compare the quotes and see how they differ. When you compare quotes, the cost of disbursements won’t change much but the cost of legal fees can vary greatly. Don’t assume that the firm with the highest legal fees will be the best: you may see one of the cheaper options is actually one of the best rated. You can also see the rating of the firm next to each quote, which is compiled from feedback by other home buyers and sellers. If you want to do extra research, you can look for online reviews of your shortlisted conveyancers to see if they seem suitable. Once you’ve found a conveyancing quote that looks appealing and you click ‘continue’, you’ll receive a detailed quote straight to your email inbox and you’ll be able to request a welcome pack. If you need any help with finding a conveyancer or comparing quotes, the HomeOwners Alliance Conveyancing helpdesk is just a phone call away on 01844 390799.